Inevitably, summer months and warm weather see the resurgence of mosquitoes. You've heard of malaria and West Nile, but — bad news — there's a new mosquito-borne virus surfacing in the U.S.: chikungunya. 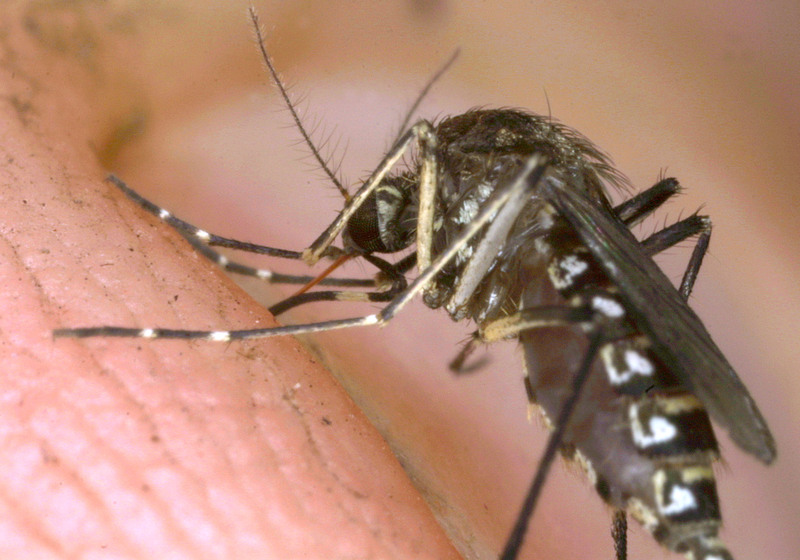 The chikungunya virus was identified in North Carolina, Nebraska and Indiana this week. In North Carolina, it was the state's first confirmed appearance of the disease. According to the Forsyth County Department of Health, that particular case was likely contracted in the Caribbean. The virus won't kill you, but it can stick around for a week — symptoms include arthritis-like joint pain and fever, and those with weakened immune systems could see worse side effects. Chikungunya cases have been especially prolific in another tropical-like regions. As of this May, at least 18 cases of the virus had been confirmed in Florida. Though the disease is not being transmitted person-to-person or contracted in the U.S., it is being closely monitored by the U.S. Centers for Disease Control and Prevention for possible spread. The disease is commonly found in Africa, East Asia, and the Caribbean Islands. The disease's spread in recent years has been a particular concern for health officials. Chikungunya was once only found in Asia and Africa, but in late 2013 had appeared in South America, the Caribbean, and, as of Wednesday, the U.S. Virgin Islands. There has been a breakout in the Caribbean this year, with over 100,000 cases reported so far, which shows the disease's quick ability to manifest. This is largely to do with rising temperatures in those regions, casting dark foreshadowing on climate control can affect day-to-day life. So, if you're jetting off to one of the aforementioned regions, be sure to wear long sleeves and pants (we know, we know, at the beach?!) and know the symptoms and facts about chikungunya upon arriving back in the U.S..